Ah, everybody loves Pikachu, that TV show and video game about kids who go around the world collecting crazy animals called Pikachus. It got super popular again last year thanks to that mobile app, Pikachu Go. 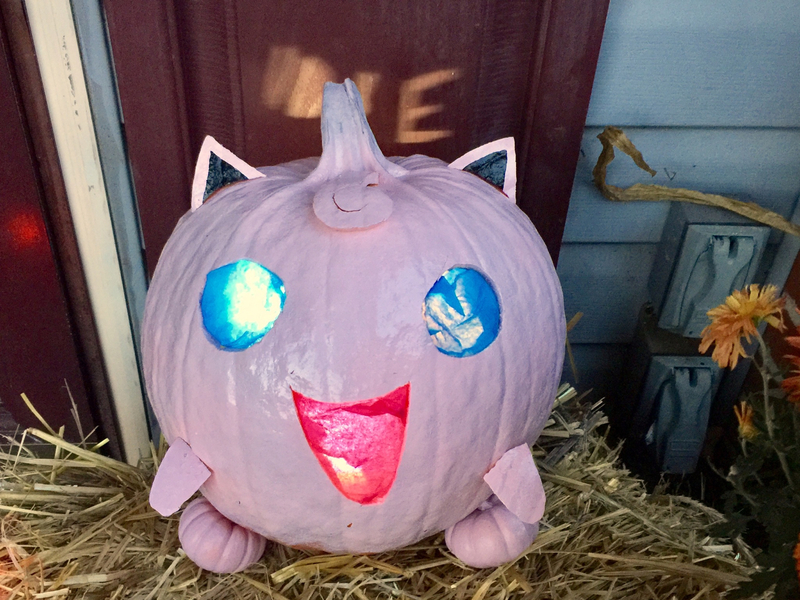 This pumpkin is carved to look like a popular Pikachu... I think this one is called Pink Pikachu. Using smaller pumpkins to make the feet was a nice touch!